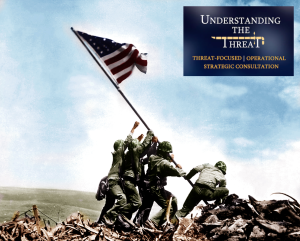 UTT (Understanding the Threat) is the only organization in the nation which provides law enforcement agencies a detailed understanding of the threat from the Global Islamic Movement, investigative techniques to identify and locate jihadi organizations and jihadis (“terrorists”), and UTT is the only organization providing state and local leaders strategies to dismantle the jihadi networks in their communities. UTT encourages you to view our new promotional video HERE and support UTT as you are able. Lets put freedom back on the offensive where it belongs.